Check out Tobi's Take My Hand Drape Cardigan Winter: we're serious. 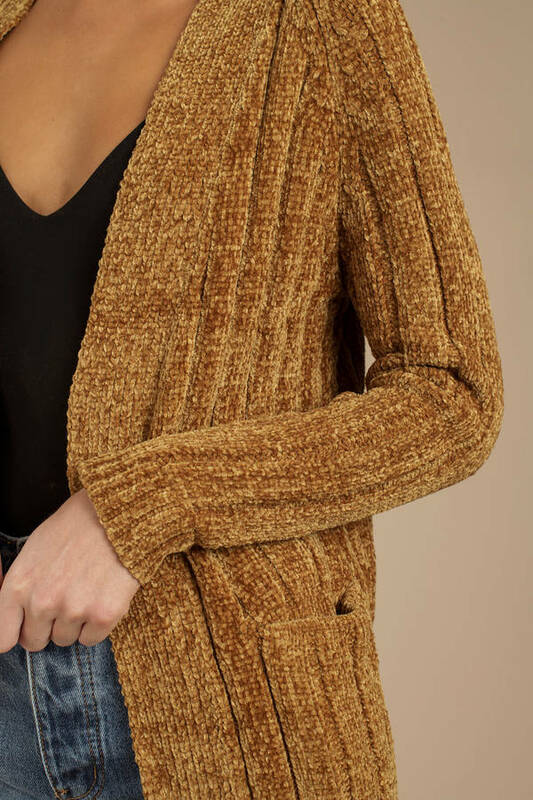 The Take My Hand Camel Drape Cardigan features an open front, drape construction, gorgeous chenille, and ribbing throughout. This cable knit cardigan will look chic with everything, but we especially like it with a cute top, corduroy skirt, and thigh high boots. Winter: we're serious. 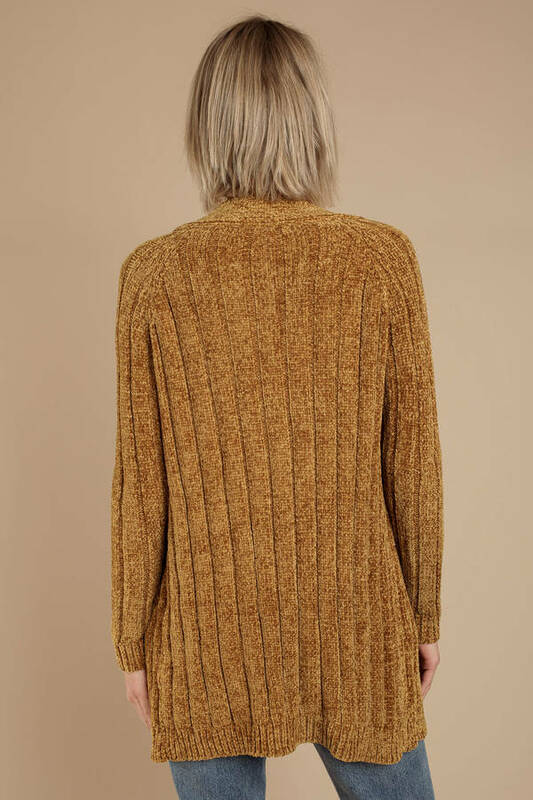 The Take My Hand Camel Drape Cardigan features an open front, drape construction, gorgeous chenille, and ribbing throughout. This cable knit cardigan will look chic with everything, but we especially like it with a cute top, corduroy skirt, and thigh high boots.